After 4 decades of service at the famed Peter Luger's Steakhouse in New York, with a great deal of those years as Head waiter, Mr. Wolfgang Zwiener decided to branch out into his own, and create a steakhouse of his own, with improvements that he felt would elevate an already proven system of excellence. Twelve years later, Wolfgang's Steakhouse has emerged into a fine dining restaurant empire. Mr. Zwiener's dream has evolved into nine branches in the US, spanning from New York to Hawaii, and now expanding to Asia, with branches in Japan and Korea! After much anticipation, Wolfgang's Steakhouse finally opened at Resorts World Manila! 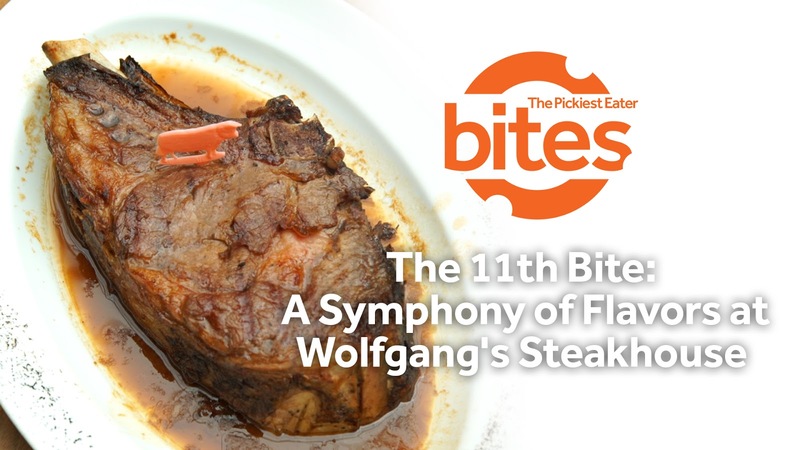 It didn't take long for Wolfgang's Steakhouse to make an immediate impact on to the fine dining scene here in the Philippines, garnering accolades and getting a steak-loving metropolis into a frenzy! Here are just a few reasons why you should visit Wolfgang's Steakhouse! Within only a few months of their operation, Wolfgang's Steakhouse Manila received the Award of Excellence from the 2016 Wine Spectactor Awards. You can view their mini Wine Cellar at the restaurant, at see the wide selections of Premium wines from around the world. Wolfgang's Steakhouse is more than just steaks, they also have a wide range of cocktail creations, concocted by their foreign Bar Manager, Alyona Vinogradova for you to choose from. Also available, is their own private "Whisky Room", which features some of the finest names in Whisky. Wolfgang's Steakhouse is the only Steakhouse in the country to have their own Dry Aging Room. The Dry aging process is critical to getting their steaks to the trademark tenderness that they have been known for. 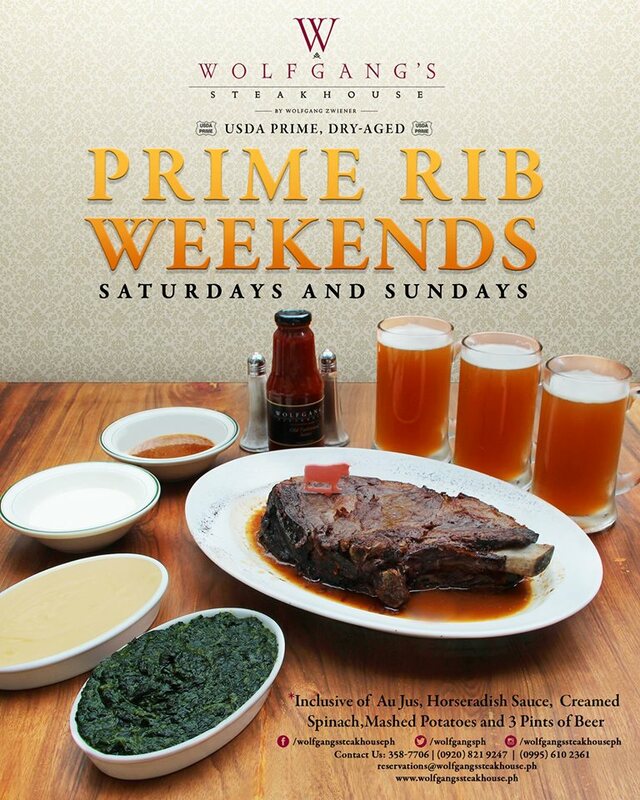 The best time to dine at Wolfgang's Steakhouse with friends and family would be during the Prime Rib Weekends! You get a massive slab of Prime Rib which is good for sharing, as well as sides such as Creamed Spinach, Mashed Potatoes and Three Pints of Beer! I have been to my fair share of steaks from different establishments around the country, and with its exemplary service, and melt in your mouth cuts of premium meats, Wolfgang's Steakhouse Manila has easily catapulted itself to a place among the elite group of Steakhouses in the Philippines. For inquiries and reservations, you may contact them at 0920-821-9247, 0995-610-2361 or 358-7706. Like Wolfgang's Steakhouse Manila on Facebook!